Nikki Soohoo Live In-Studio on Jonesy's Jukebox! Chris Salewicz Live In-Studio on Jonesy's Jukebox! Grace McKagan of the Pink Slips Live In-Studio on Jonesy's Jukebox! David Coverdale Live In-Studio on Jonesy's Jukebox! Duff McKagen & Shooter Jennings Live from the Subaru Live Stage on Jonesy's Jukebox! Jonathan Wilson Live In-Studio on Jonesy's Jukebox! Vivian Campbell & Phil Soussan Live in-studio on Jonesy's Jukebox! Lucinda Strummer Live In-Studio on Jonesy's Jukebox! William Fichtner Live In-Studio on Jonesy's Jukebox! Matt Sorum & Moby Live In-Studio on Jonesy's Jukebox! John Taylor Live In-Studio on Jonesy's Jukebox! George Thorogood Live In-Studio on Jonesy's Jukebox! Best of the Box Rick Springfield! Nikki Sixx Live from the Subaru Live Stage on Joneys's Jukebox! Corey Taylor and Jason Christopher Live In-Studio on Jonesy's Jukebox! Lords of Chaos Director Jonas Akerlund & star Jack Kilmer Live In-Studio on Jonesy's Jukebox! United Skates HBO Documentary Co-Director Dyana Winkler & Phelicia Wright Live In-Studio on Jonesy's Jukebox! Mike Tramp of White Lion Live In-Studio on Jonesy's Jukebox! Gibson Guitar CEO James 'JC' Curleigh Live In-Studio on Jonesy's Jukebox! Matt Walsh & Judith Godreche Live in-studio on Jonesy's Jukebox! Craig Ferguson Live In-Studio on Jonesy's Jukebox! 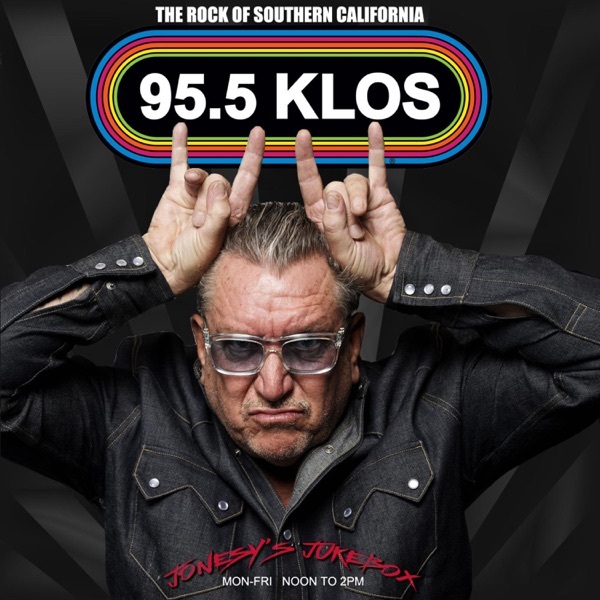 Andy McCluskey Live In-Studio on Jonesy's Jukebox! Mike Garson Live In-Studio on Jonesy's Jukebox! Chris Shiflett Live In-Studio On Jonesy's Jukebox! Davey Johnstone Live In-Studio on Jonesy's Jukebox! Jim Jones Live In-Studio on Jonesy's Jukebox! Eddie Kramer & John McDermott Live In-Studio on Jonesy's Jukebox! Jake Busey & Rhys Coiro Live In-Studio on Jonesy's Jukebox! Danko Jones Live In-Studio on Jonesy's Jukebox! Starcrawler Live In-Studio on Jonesy's Jukebox! Alain Whyte Live in-studio on Jonesy's Jukebox! Ozzy & Sharon Osbourne along with Liz Carey Live In-Studio On Jonesy's Jukebox!